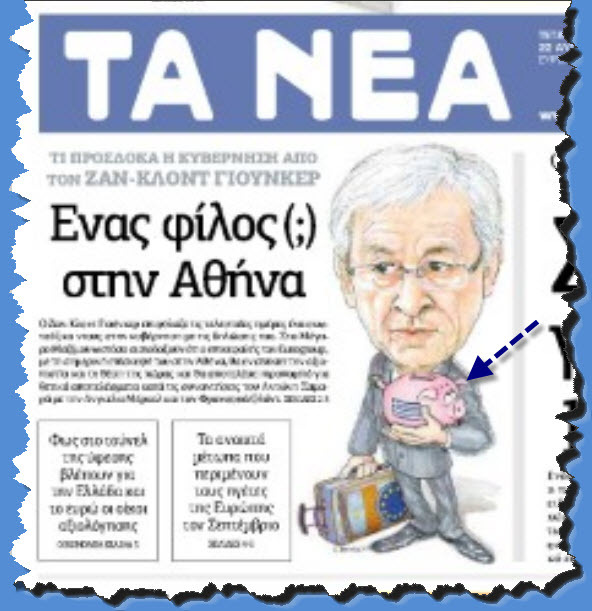 Ta Nea: Cutbacks / piggy bank hits the road / To Bhma: return of the Dark Ages? 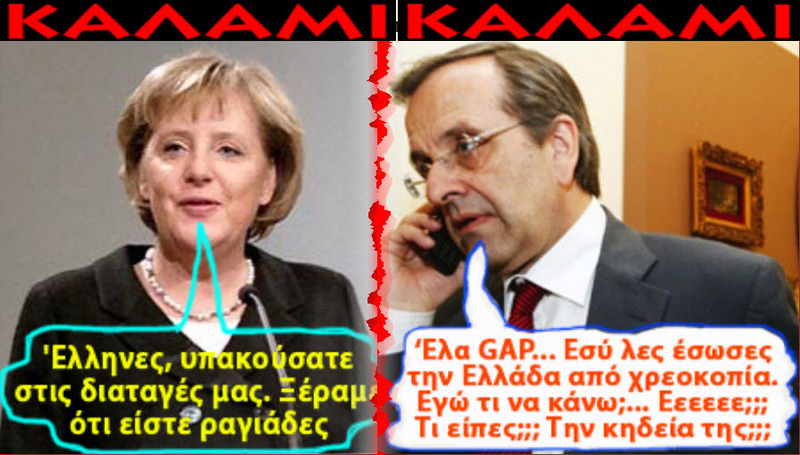 / Samaras sees victims / Kalami: While Merkel gives orders / Tecknar Olle in Voices from Russia: Who will win in the end? But there is an alternative, more promising route. Under this scenario, Greece would recall its own highest virtues. It would create its own recovery program independent of European diktats. It would draw on its own reservoirs of talent to start new businesses and whip old ones into shape. This is a matter of attitude. 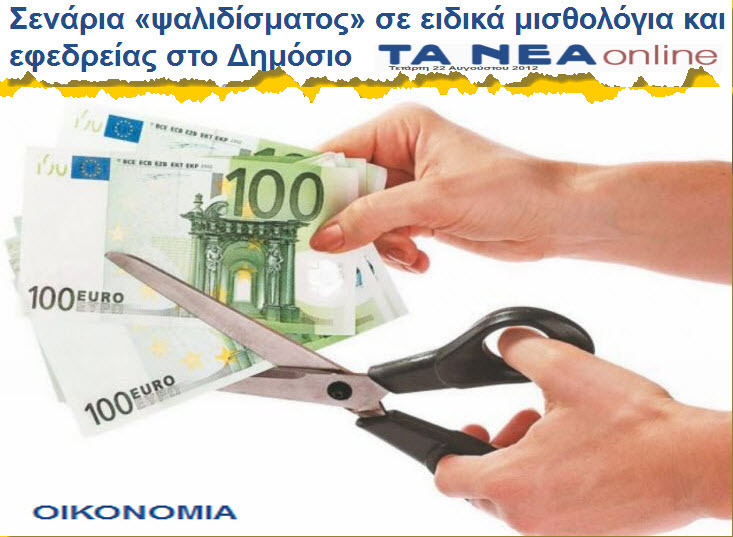 If Greek leaders make their case with confidence, the difficult task of economic reconstruction can be mastered. 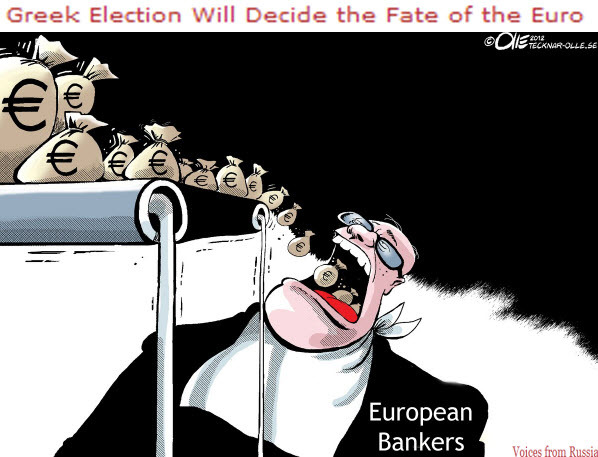 Of course, success will also require a healthy devaluation that would make Greece attractive to investors. Not to mention rapid, comprehensive reforms that make the country competitive again. But the point is that these are measures Greece can only swallow if they are homemade. 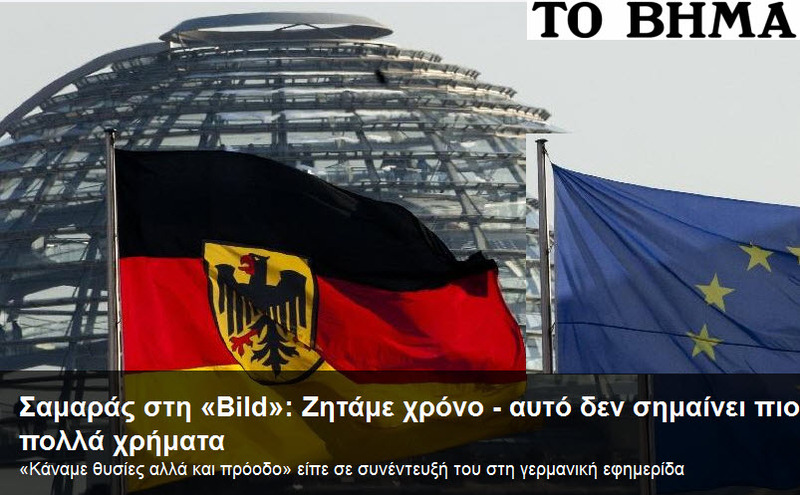 It is pure myopia to think that Germany and the EU can save Greece. That task is up to the Greeks. 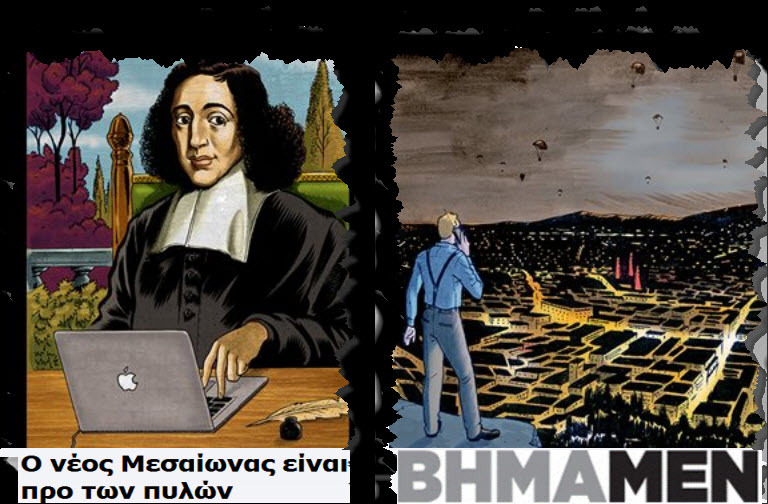 Horrorszenarien für Griechenland: was will Samaras erreichen?